Alumni are the brand ambassador of an Institute and responsible for creating positive vibrations about their Alma Mater in society. Reputation and standing of an Institute is created by the significant contributions made and heights attained by its Alumni in different sectors of society like Public and Private Sector Organizations, Industry, high end administrative and professional jobs in Public and Private sectors and in many other areas of significance in society at National and International levels. A strong bonding between the Alumni and their Alma Mater creates a valuable network beneficial to both that is to the Alumni and the Institution. Certain components of the Vision and Mission of the Institution are attained through the Alumni. JIIT is proud to have about 5818 Alumni who have passed out from this Institute during the last 10 years. They are our important Ambassadors who are spread all over the Globe. The Institute and its current students can drive large advantages by being well networked with the Alumni. JIIT is going to create an effective and vibrant network with its Alumni. Alumni database will be created for all passed out students. Activities will be planned and conducted as Alumni Meets on a regular basis each year, Alumni will be informed about the events at the JIIT through E-newsletter, and many more activities will be planned and executed for and with the Alumni in due course. Suggestions will be sought from the Alumni in this respect. JIIT wishes to create a very strong, effective and vibrant linkage with its Alumni. JIIT will also request its Alumni to set up chapters at different places in India and abroad for having Alumni activities of JIITians at their respective places. 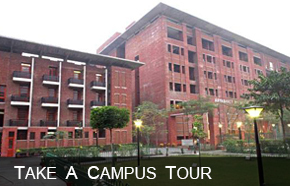 JIIT keeps its Alumni in high esteem and shall always look forward for their close association with their Alma Mater.